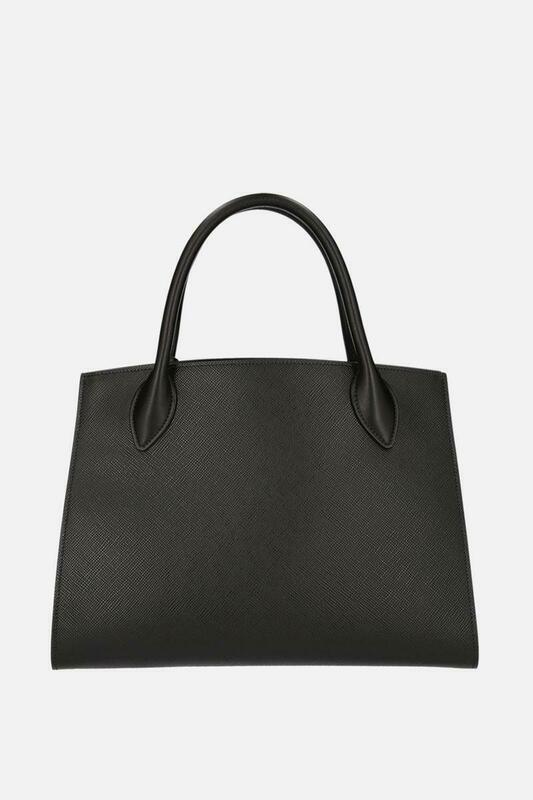 Iconic handbag crafted in black Saffiano and City calfskin. 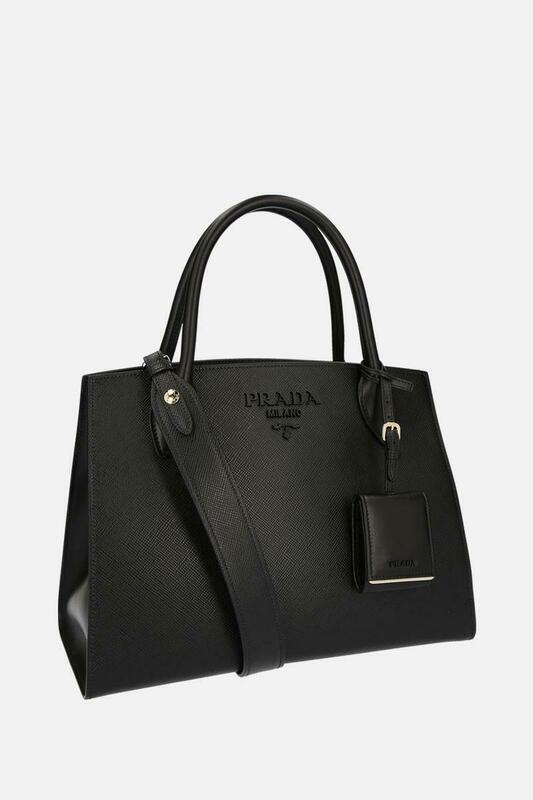 Featuring gold-tone hardware two top handles and removable strap. 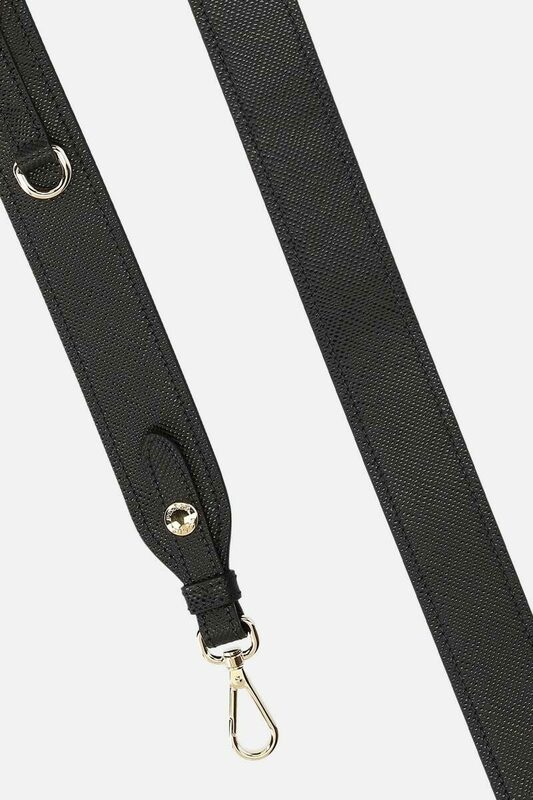 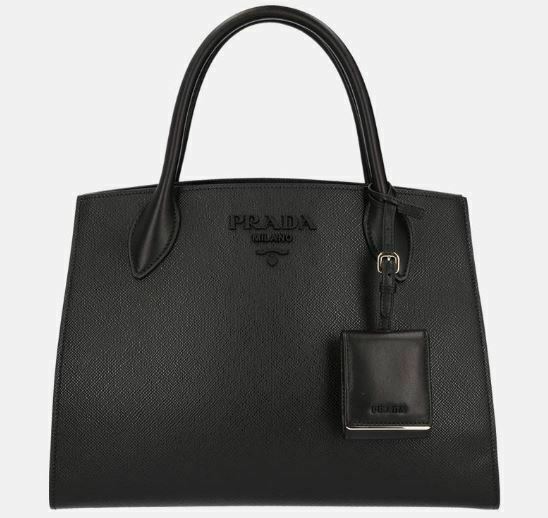 Nappa leather-lined interior with one zipped pcoket and one slot pocket. 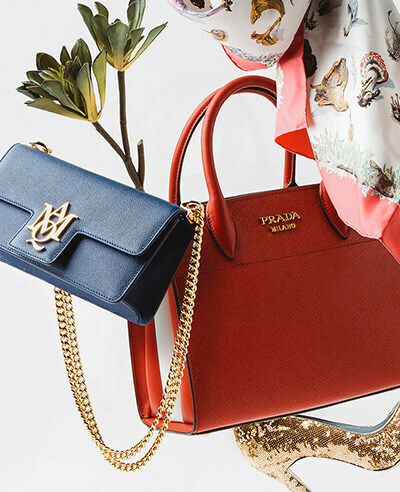 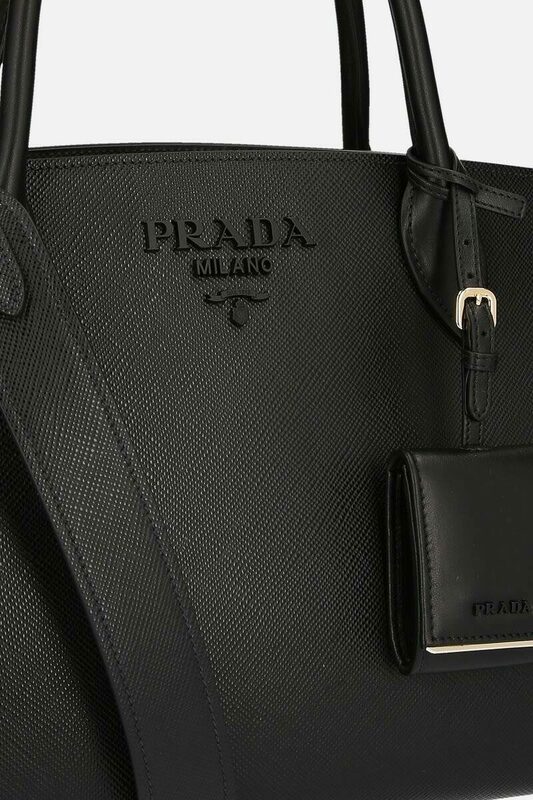 The design is completed by the tonal lettering Prada logo.